Marketing trends evolve quickly nowadays. Just when you finish drafting a strategy, a new statistic or technology release appears out of nowhere and challenges every assumption you made. Frustrating at best and maddening at worst, these unforeseen changes cause upheaval and consternation. For marketing consultants, keeping up and understanding the changes is quite tricky but absolutely essential to success. In 2011, according to Scott Brinker’s MarTech Landscape, there were a few hundred marketing technology providers. Today, there are nearly 7,000, making it virtually impossible to keep up with all the providers and their solutions. To succeed in this fast-paced marketing ecosystem, however, marketing consultants have to find a way to stay ahead of the game. 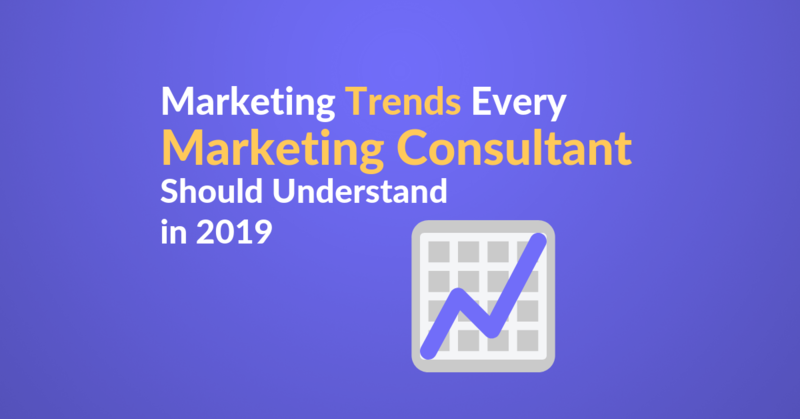 That’s why we created this list of marketing trends every marketing consultant should understand or at least attempt to understand, both for the benefit of their clients and for the benefit of their own book of business. Just as one might guess, data-driven marketing involves making decisions that are backed up by hard data rather than making decisions that are intuitive or based on observation alone, random thoughts, and personal opinions. Even as recently as a dozen years ago, marketing consultants were desperately hungry for data to support their recommendations. Now, with the slew of marketing technology solutions, data is not only available to marketing consultants, but it can also be downright overwhelming. As business technology has advanced exponentially in recent years, data-driven decision making has become a much more fundamental part of all sorts of industries, including important fields like medicine, transportation, and equipment manufacturing. A study from the MIT Center for Digital Business found that organizations driven most by data-based decision making had 4% higher productivity rates and 6% higher profits. Reduced product failure rates by understanding better your target audience and developing better products that match their preferences. Let’s get this show on the road and see further marketing trends. One of the main benefits of marketing automation is that it lets marketing consultants focus on meaningful and creative initiatives rather than wasting their time doing repetitive and time-consuming tasks. This provides communication at scale, providing more thrust for your clients’ marketing. As you grow, this scale becomes more and more important and it becomes more challenging. Marketing automation allows you to automate certain business processes and tasks that are crucial for capturing and nurturing leads in the buying process. Usually, marketers refer to marketing automation as the software that sends specific content to each individual relative to their behaviors. Automated marketing optimizes your whole customer flow. By driving traffic to your website, converting traffic into leads, and turning leads into customers. Let’s look at some metrics on how automation contributes to your marketing thrust. Perform all operations in real time without ongoing intervention from the marketer, including data collection, analytics, and execution. It would work perfectly for you to have an AI-powered email marketing automation tool. Once you’ve put together the automated campaign, set up the variations, and figured out what goal the algorithm should optimize for, just let it do its job. The algorithm starts out with an equal sending weight for each variation. But as the subscribers move through the drip campaignit adjusts the sending weights based on engagement data, ensuring you send out the best possible message sequence. Also, with sending time personalization you can send your emails when your subscribers have their inbox open. Another use case for AI is subject line scoring and recommendation. The algorithm will recommend better-performing subject lines. As mobile has become an indispensable part of our daily lives, we’re witnessing a fundamental change in the way people consume media. There are hundreds of these moments every day—checking the time, texting a spouse, chatting with friends on social media. But then there are the other moments—the I want-to-know moments, I want-to-go moments, I want-to-do moments, and I want-to-buy moments—that really matter. We call these “micro-moments,” and they’re game changers. Micro-moments occur when people reflexively turn to their smartphone to act on a need to learn something, do something, discover something, watch something, or buy something. They are intent-rich moments when decisions are made and preferences shaped. In these moments, consumers’ expectations are higher than ever. Plot every customer interaction and analyze how multiple and different channels work together to support your customers. 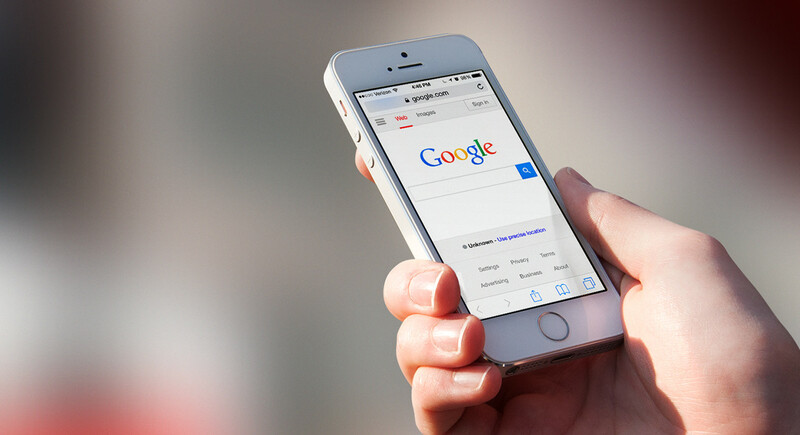 Although this “micro-moments” idea has been introduced by Google in 2015, most brands are still sticking to the old buyer funnel and struggling in aligning. There are still lots of yet-to-be-discovered opportunities for consultants to leverage micro-moments marketing and make sure your clients’ businesses show up whenever your next customer is looking. With more and more people viewing videos on mobile, it’ll be great to experiment with videos to see if they improve your clients’ marketing results. Today social media is extremely video friendly, and videos are the most consumed type of content on social channels. Here is a real-life example from a Facebook page. Interview experts to reach larger audiences. The key to video marketing is to be engaging. Hook your audience during the first 10 seconds, and maintain the momentum throughout the video. Over 4 million blog posts have been published in the last 24 hours. Think about that for a second. Shocking isn’t? If you want your clients to stand out, storytelling is your solution here. The core objective of your client’s business story is to engage. But if it doesn’t have a clear focus, you’ll quickly lose the attention of your target audience. Establishing your context is your top priority when starting. Our brains are starving for a good story to resonate with, while we are stuffed with logic, financial business aspect, numbers, diagrams, stats, and lifeless business terms. Studies show people want a more personal connection in the way they consume information, especially promotional materials. Therefore, storytelling should be applied to your content marketing strategy to provide your audience with that story they are starving for. Storytelling will help make your client’s prospects feel closer to its products. This phenomenon is called ‘mirroring’ and happens in the brain when we hear stories. Understanding marketing trends will eventually get you moving from Marketing to Growth. These trends can get you and your clients on the growth track and experience thrust, in your overall marketing performance, revenue, reach, customers, etc. At Automizy, we love witnessing growth, so make sure you share it with us once it is happening. We’re excited to see your progress.